Here at Real Flame, we take pride in providing bespoke installation solutions for our customers, no matter how impractical the request may seem. 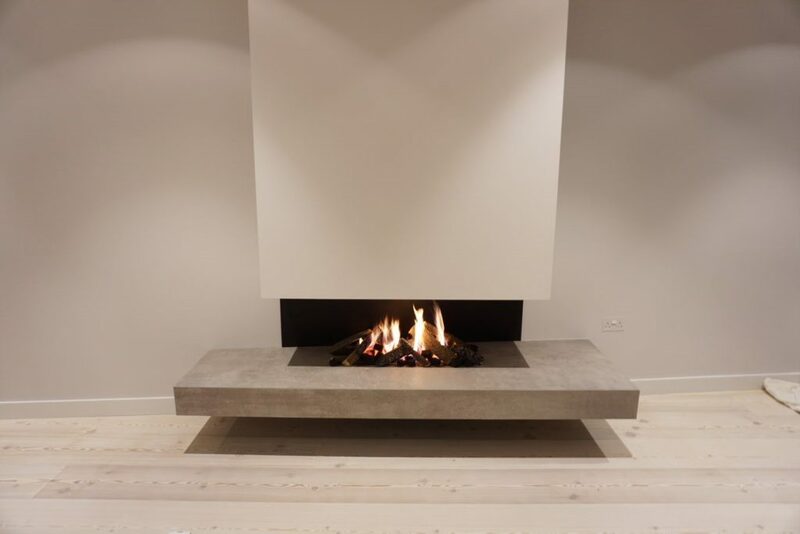 In this case study, we were contacted by a client who was looking to create a striking, one-of-a-kind gas fire from start to finish, which would be included within their full refurbishment program. Starting with a blank canvas – no chimney or flue and with a rear wall sloping at 45 degrees – we were contracted to provide a bespoke design inspired by several concepts the client found on social media. Following an on-site visit with the client and their chosen contractor, we were able to retrieve all information required and provide the client with a design proposal. After the proposal was confirmed, we created drawings which enabled the Contractor to understand what would need to be created from their side before work could commence. 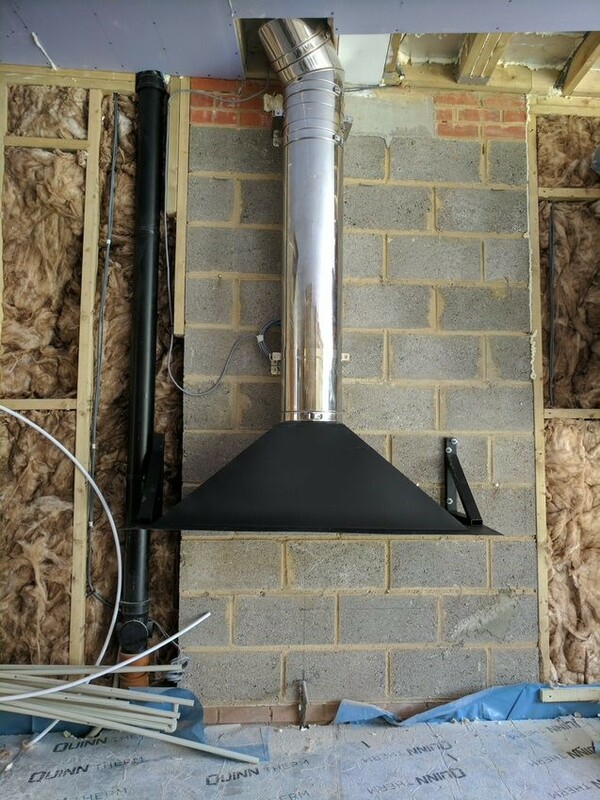 The first stage of the project was to install the flue and fan system, and our bespoke counter levered gather, which was designed to remove the offset of the sloping wall as advised by the client. 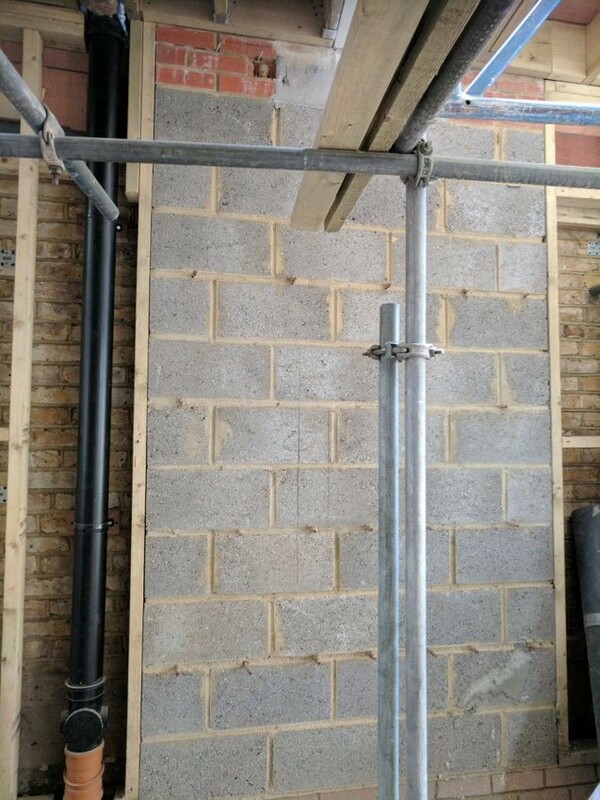 This then enabled the Contractor to follow our drawings to create the false chimney cladding and construct the floating concrete shelf that would eventually contain our gas fire. After the Contractor’s work was completed, we were able begin our second stage of the project. In this step, we were required to test install the gas fire, link the remote operation of the fire to the fan System and ensure that all components were working correctly. The most important aspect was ensuring that the products of combustion were being pulled correctly through our fan-assisted flue system. This needed to be balanced to ensure the draw was correct, but also to ensure that the fan was not creating too much noise by spinning too fast. Our third and final stage of work on-site was at the very end of the Contractor’s works. This last visit was to retest the fire to ensure there had been no changes and to set-up the fuel bed media; in this example we used our famously realistic, ceramic logs. At this stage we also demonstrated the operation of the fire to the client and answered any questions they had. 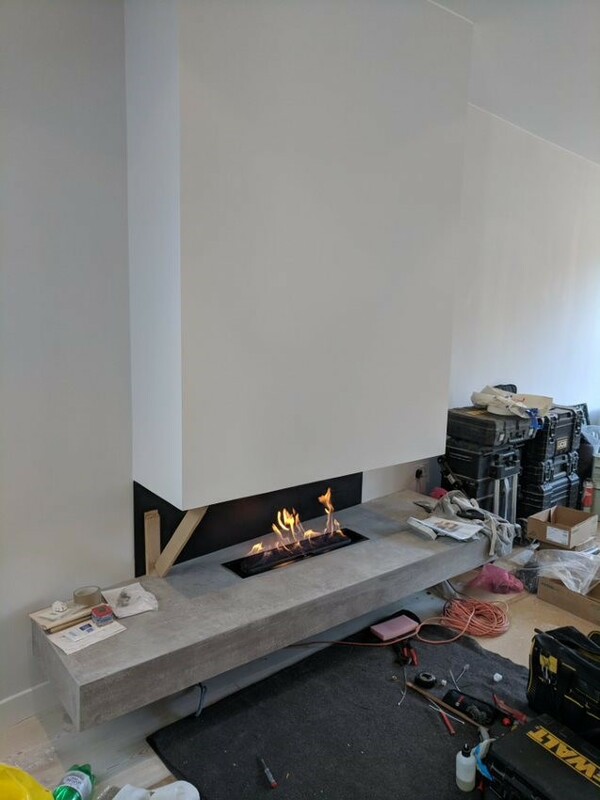 These bespoke projects are what we strive for and creating a completely bespoke fireplace gives us great satisfaction, especially after seeing the finished article in all its glory. 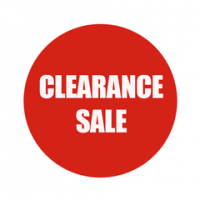 If you’re looking for something similar, why not visit us at our showroom or get in touch by using our quick and easy contact form. We specialise at installing gas fires in London and can’t wait to hear from you and get started on our next bespoke installation project.